"In the wildest of locations, the wind shapes the landscape, it shapes the rocks and the vegetation. Together the elements and time work to produce great beauty." "I love to shoot the dawn light. The sun is just breaking through the brooding clouds, and there is a stillness in the air. 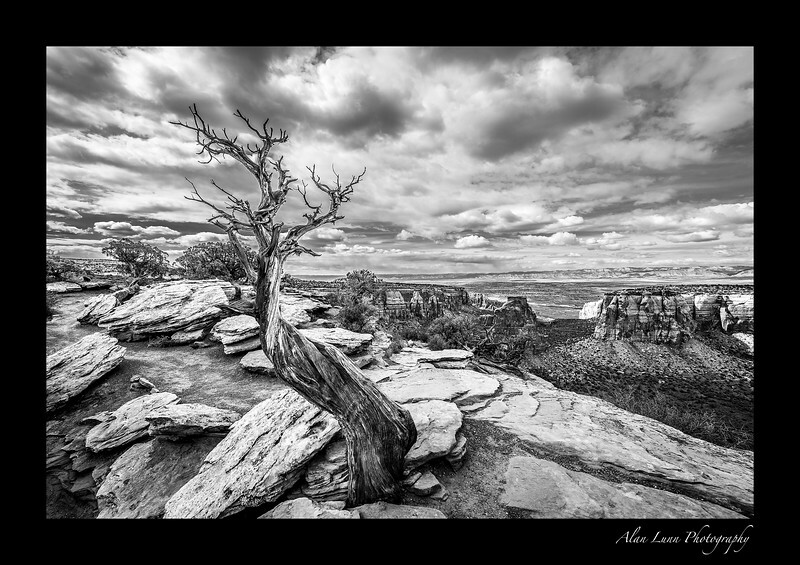 The fall is ending and soon winter will take hold, but for now there is only stillness"
"The scale of Canyonlands National Park is hard to capture photographically. 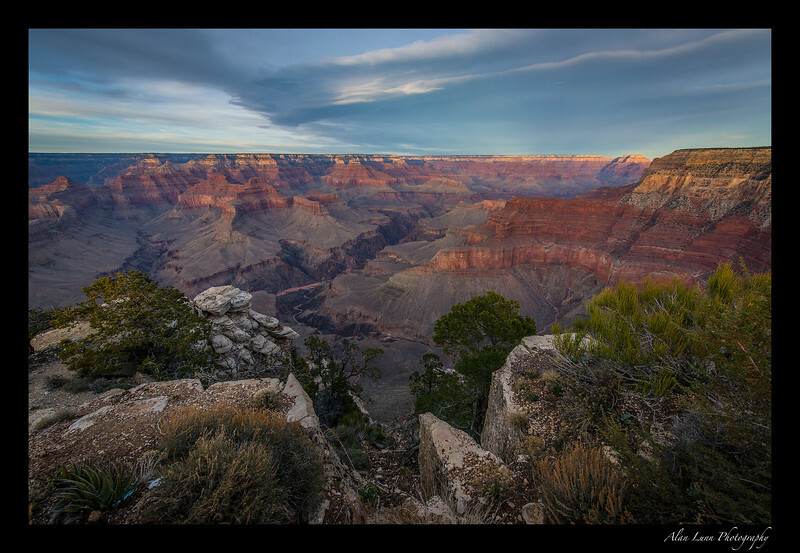 This HDR image shows the great depth of the canyon and the power of nature over time." "Using an extreme lens, I was able to capture a unique image of one of the most photographed rock arches in the world. Delicate Arch can be see slightly to the left of centre. 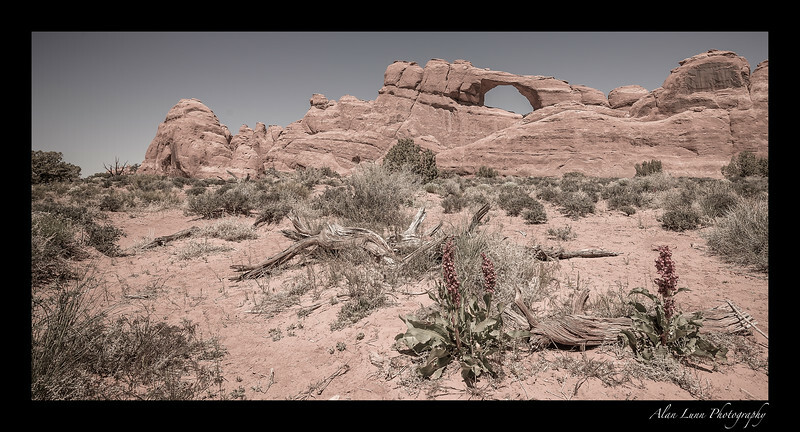 This photograph shows the huge rock bowl that creates a natural amphitheater below Delicate Arch." "Milky Way over the Rockies"
"Being out on a clear dark night, away from the city lights and looking up at the stars is one of the most peaceful moments. 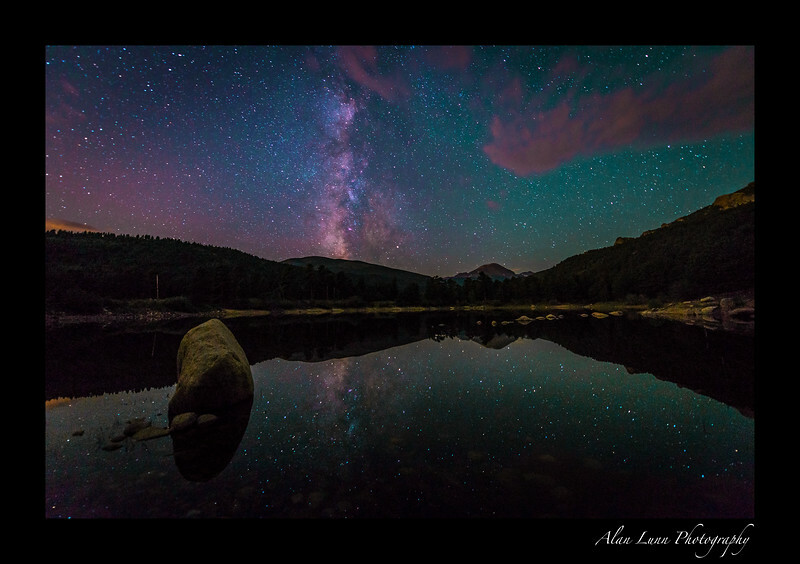 Here at Wild Basin, seeing the Milky Way reflected off the lake and framed by the mountains you can feel your place in the universe." 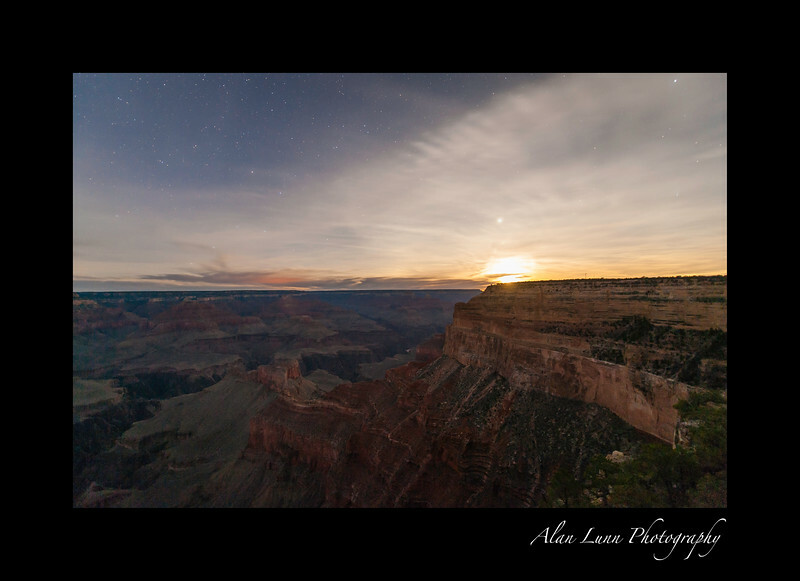 "Moonrise over the Grand Canyon"
"After the sun goes down and the tourists leave there is an eery tranquility to be found on the rim of the Grand Canyon. The sun set and an hour later I was lucky enough to see the moon start to rise casting a spectacular light over this most majestic of natural features"
"It is fall, the leaves are about to fall before winter arrives. 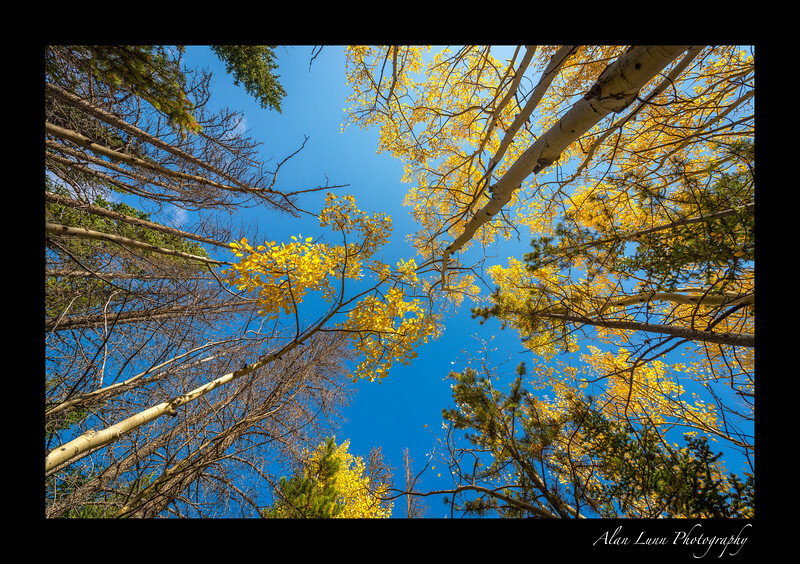 The towering aspen trees delight us before their winter hibernation begins." 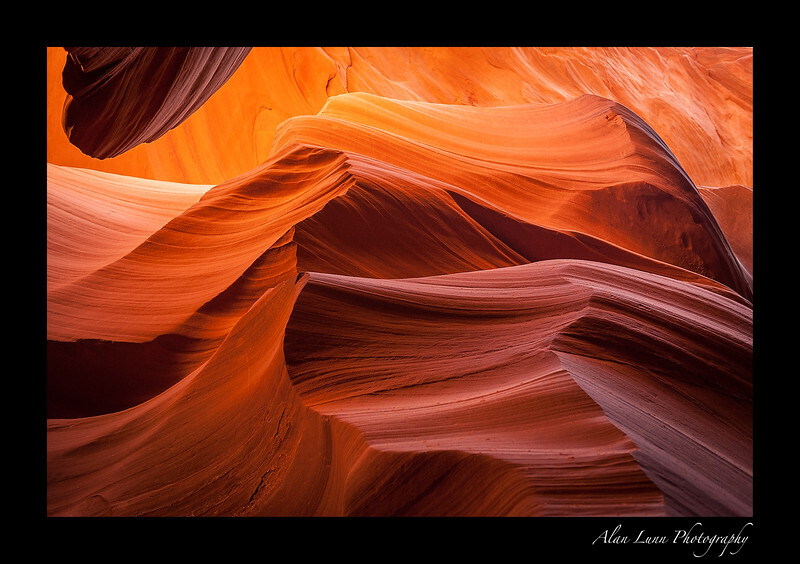 "As the light form the morning sun illuminates and warms the canyon depth the light is ever changing, revealing the subtle textures within the canyon walls." 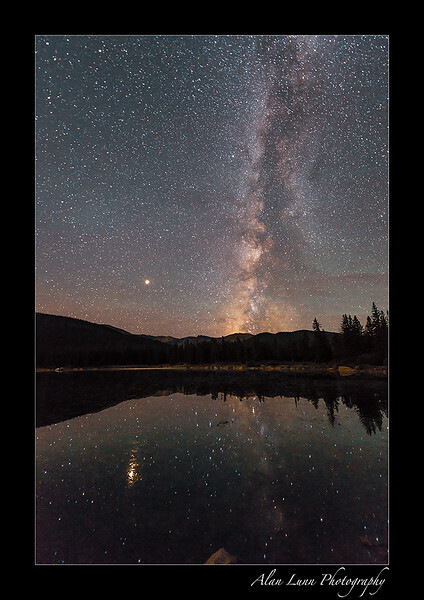 "On a clear night when everyone else was looking in the other direction to observe the Perseid Meteor Shower, we lay here and gazed up at the magnificence of the Milky Way. The beauty of such nights never ceases to amaze me." 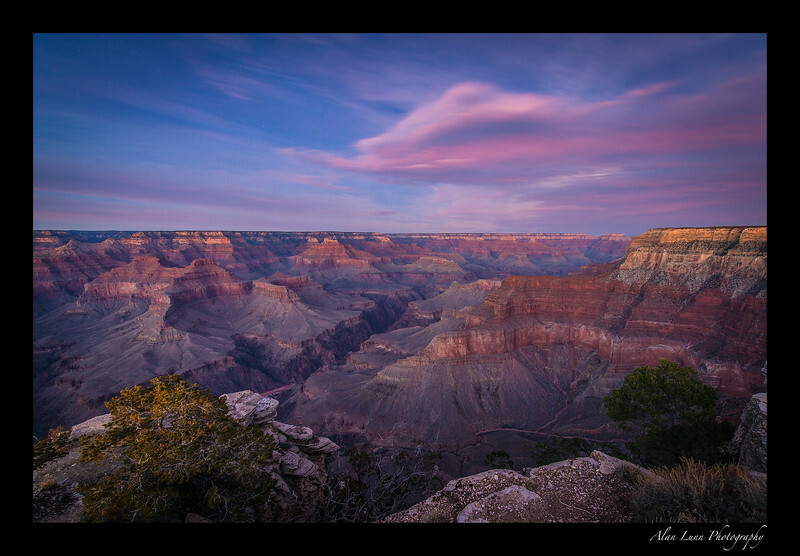 "Carved over millions of years the Grand Canyon is one of the natural wonders of the world. 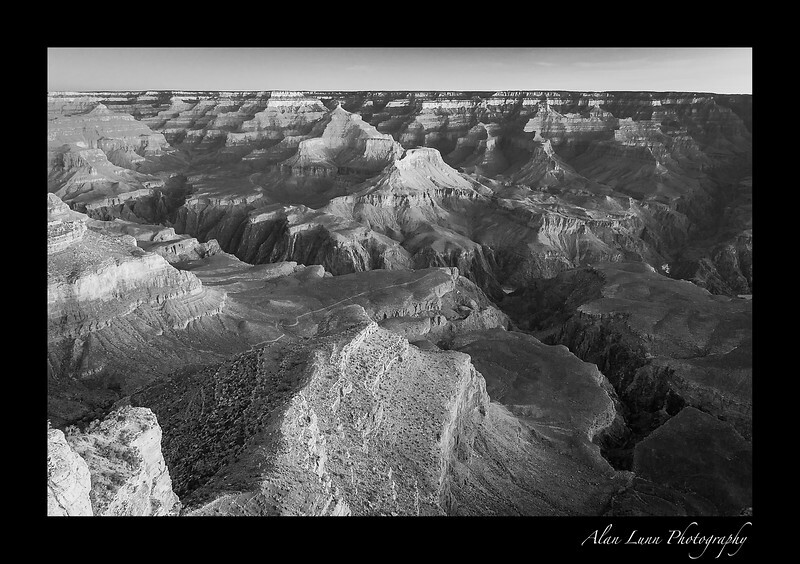 The mighty Colorado River works it's way ever deeper exposing layers of sediment to create this magnificent and highly intricate landscape. 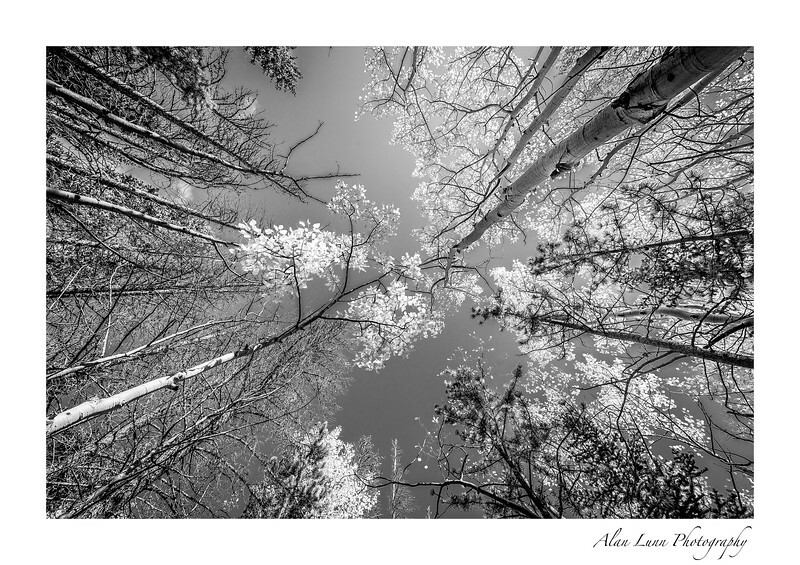 As a photographer to is both challenging and thrilling to capture it's essence." "In the early dawn light you can hear the tranquility, you can hear the mountains, you can hear the lake and they are in balance." 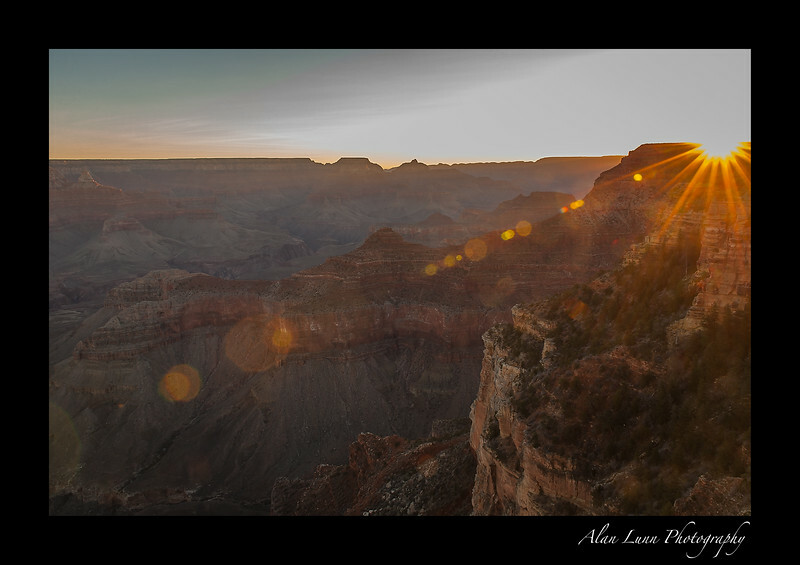 "The sun emerges over the canyon rim to illuminate and warm, as another spectacular day is born." "Canyonlands and Arches National Parks are adjacent, Canyonlands is marked by it's scale. This shot was created using an extreme wide angle lens, the pothole arch acts like a window to the mountainous landscape and the vista beyond." 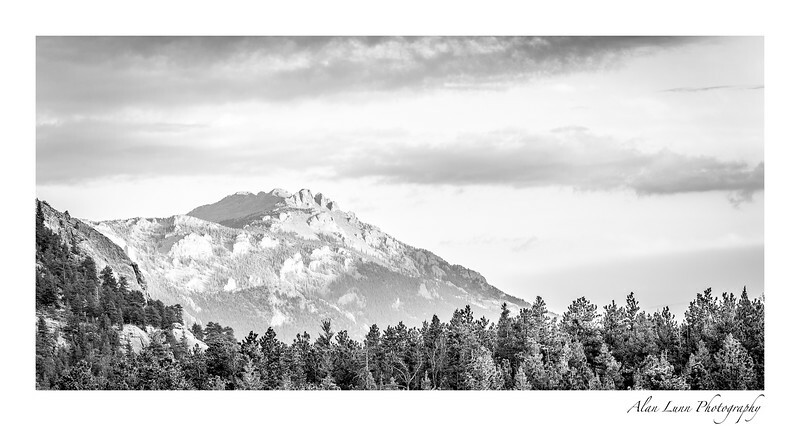 "Whenever we are in Colorado Springs we flock to this amazing landscape of Pikes Peak rising over Garden of the Gods. 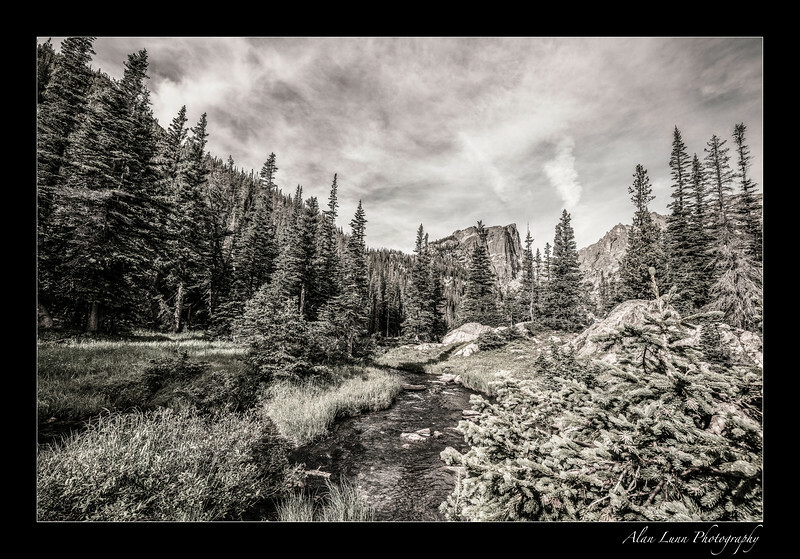 This classic Colorado landscape shows the intrinsic beauty and harshness of living at high altitude." 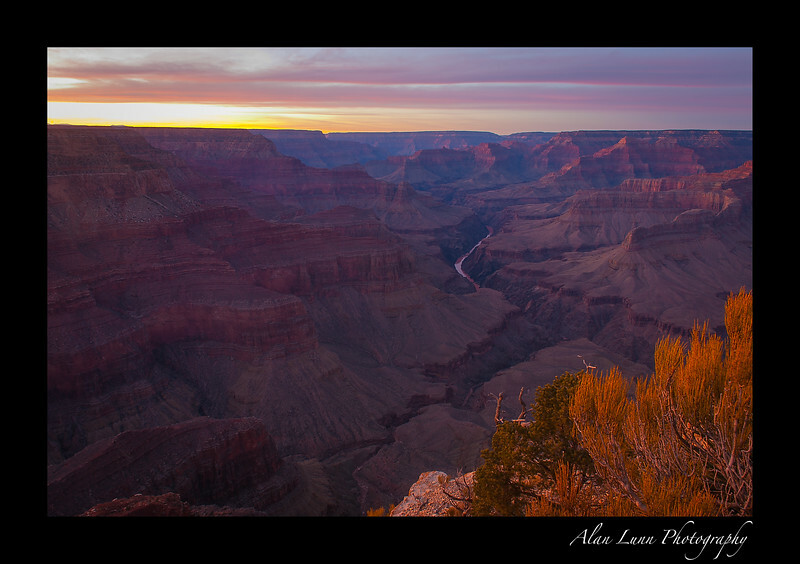 "The mighty Colorado river snakes it way ever further down through the Grand Canyon. 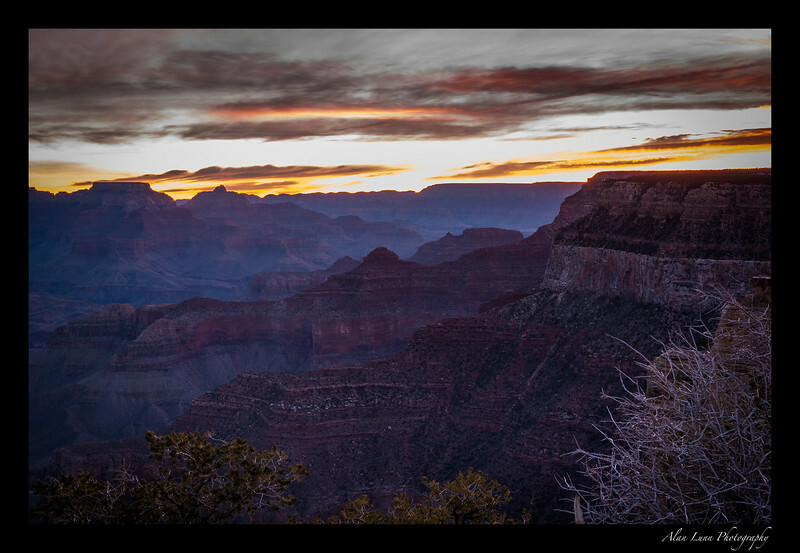 A vertical mile from rim to river, the sun sets over this most magnificent of natural features." "Winter is approaching, the snow is going to come down from the hills and the first snowflakes are falling. 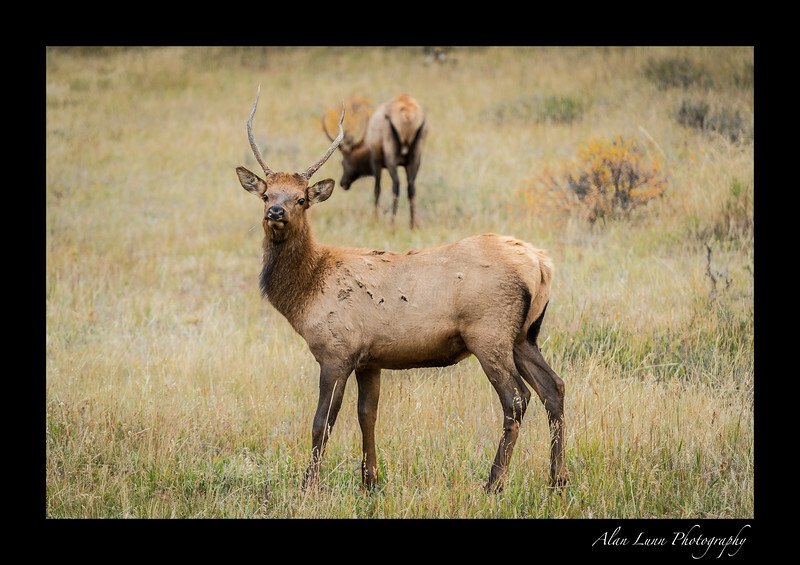 Elk are sheltering beneath the pine trees enjoying the last rays of sun before the harsh winter." "Sand dunes in Colorado? Yes, the massive sand dunes are just next to the Rocky Mountains. A photographers nightmare because of the perspective, this was my third visit to the area to get a photograph showing the mountains rising above the Great Sand Dunes. ."
"Pictured on the Utah licence plate Delicate Arch is a state icon. Rising 65 feet above the basin rim this magnificent Entrada sandstone arch is one of the most recognisable natural rock formations in the world." "The sun sets, the crowds leave... the moon sand stars come out to play, what magnificent fun." "Having set the scene of many westerns form the 1930's to the present day this magnificent vista is an icon of America... as a child of the 80's I still expected to see Airwolf emerging from a butte." 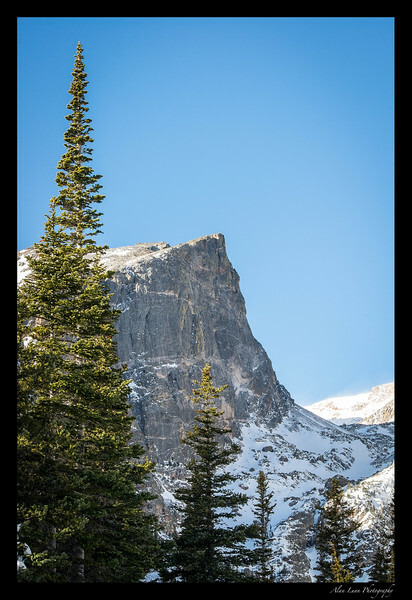 "Deep in the national park the trail breaks out into a meadow with a magnificent view of the high peaks." "Shooting at night with long exposures, in this case 20minutes, allows a photographs to be produced that lack harsh shadows. 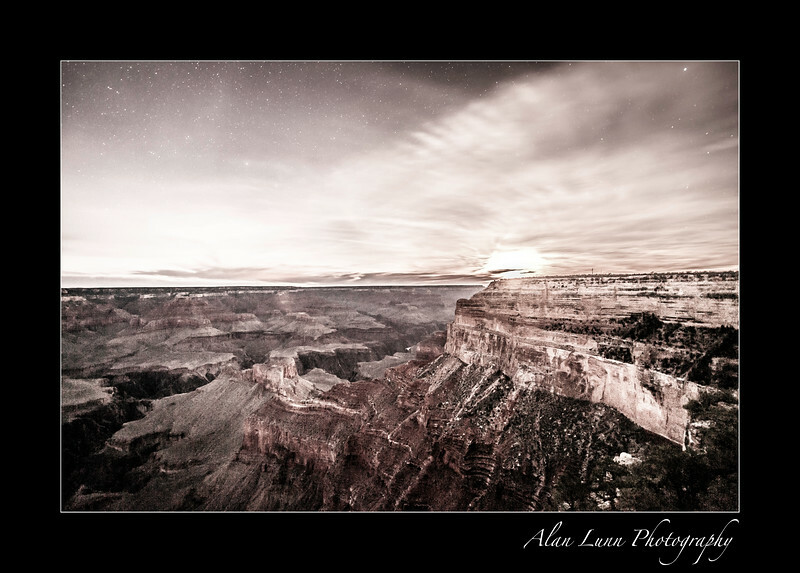 The red Colorado River can be seen one mile vertically from the canyon rim." "Mesa Arch gives a glimpse of the vast desert landscape that forms so much of the Utah Plateau. 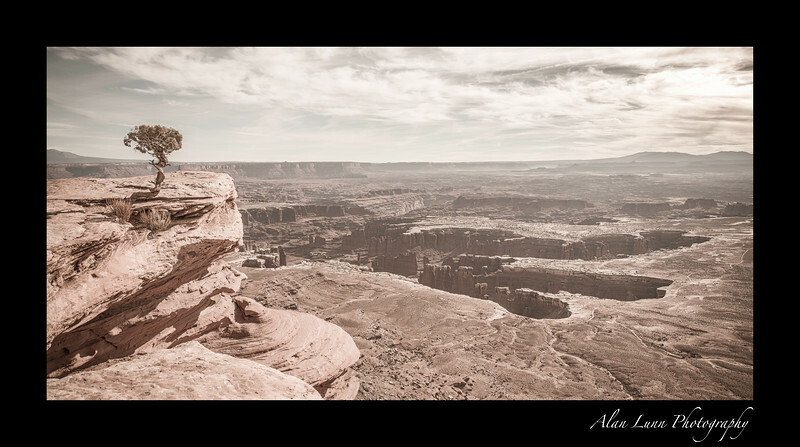 In the heart of Canyonlands National Park this unique photographs shows us that there is always a vastness beyond the immediate." 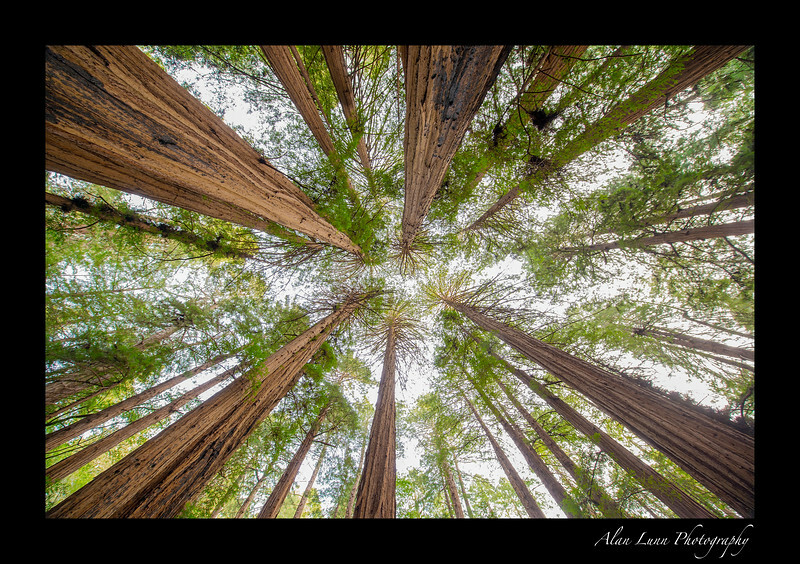 "I like shooting at extremes, with very long or very wide lenses. This shot is unusual for one of my landscape shots because it was taken with a 200mm lens. 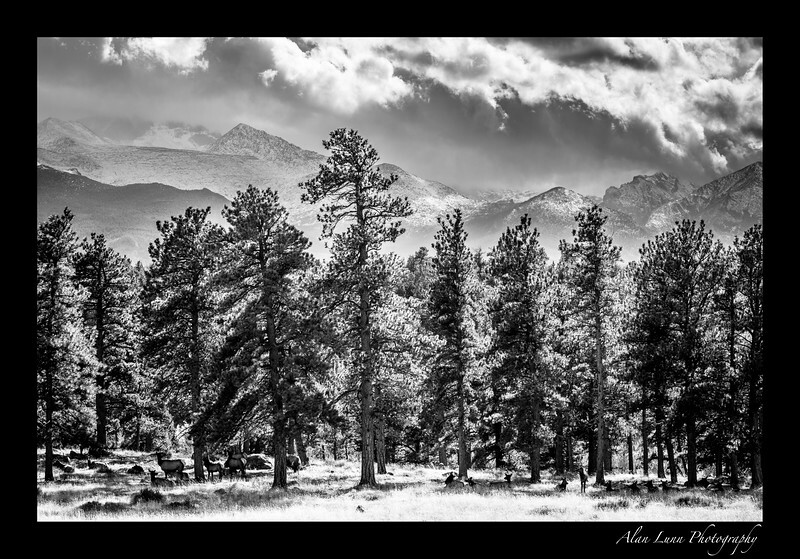 It was an overcast morning and I was shooting wildlife with a long lens, the cloud lifted to reveal this stunning mountain vista." "This long exposure shot was taken in almost complete darkness. A cool wind was blowing and the only illumination on this clear night came from the stars above." "Right out of a cowboy movie, the stacks of monument valley rise above the valley floor. The harsh wind carves the landscape forming these iconic rock formations." 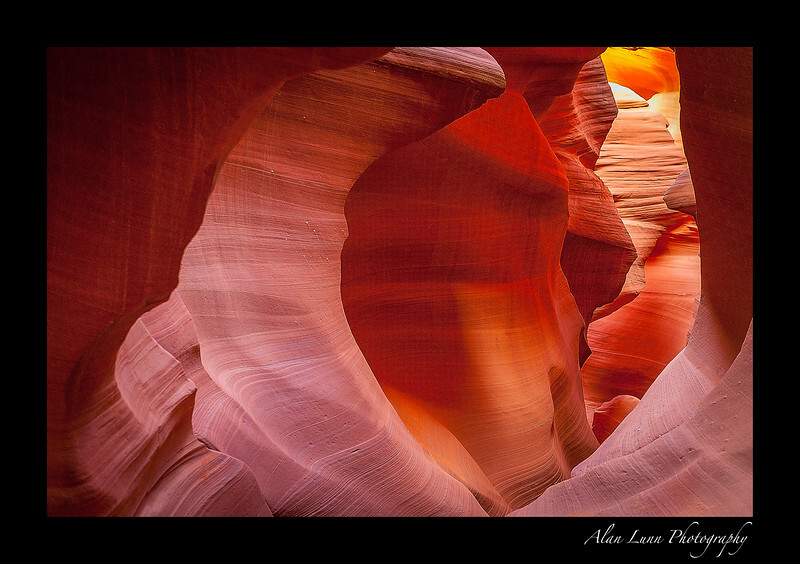 "Deep within the canyon the morning light illuminates the shapes and facets of the deep red sandstone. Shaped by wind and water the shapes and colours are timeless and alive." 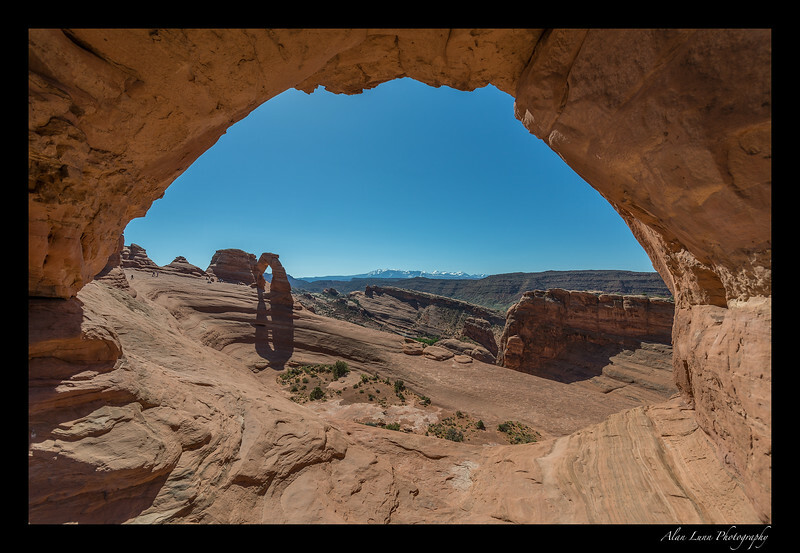 "Delicate Arch viewed through Frame Arch"
"I love extreme lenses, this is taken with my 14mm Nikon. 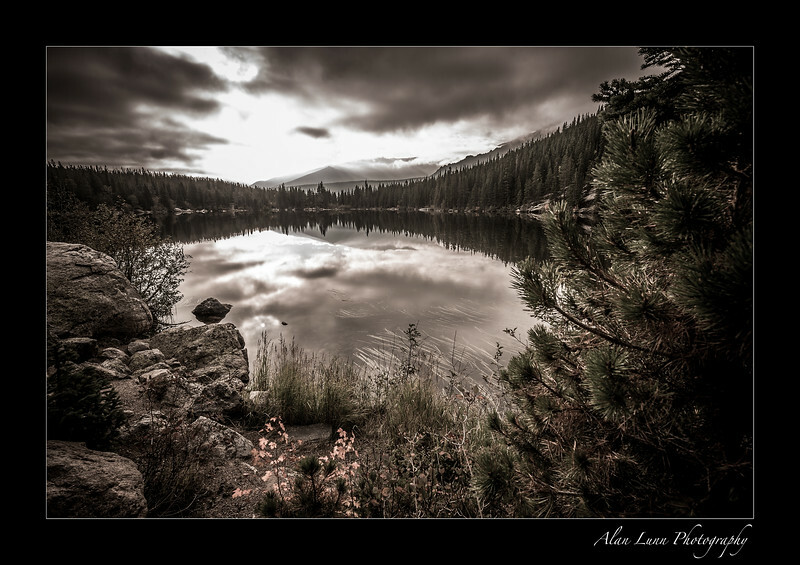 A huge wide angle lens is ideal for this situation and one of the few lenses in the world that could capture this image." "The sun sets, and the moon rises illuminating the sky and canyon walls casting an unforgettable range of subtle blues and deep reds." "It's only when you stand next to these giants reaching for the sky that you truly appreciate how small you are." 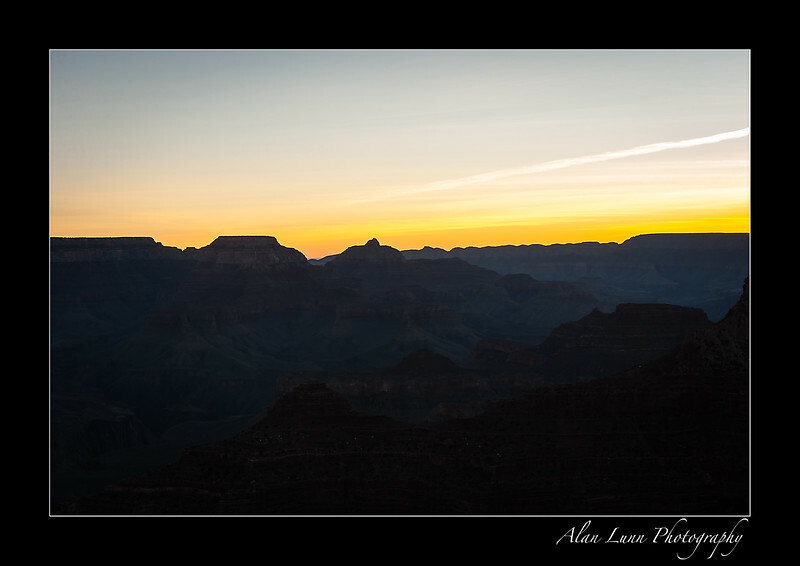 "Last Light over the Rim"
"The sun has set, and the tourists have gone, I stand alone on the canyon rim. 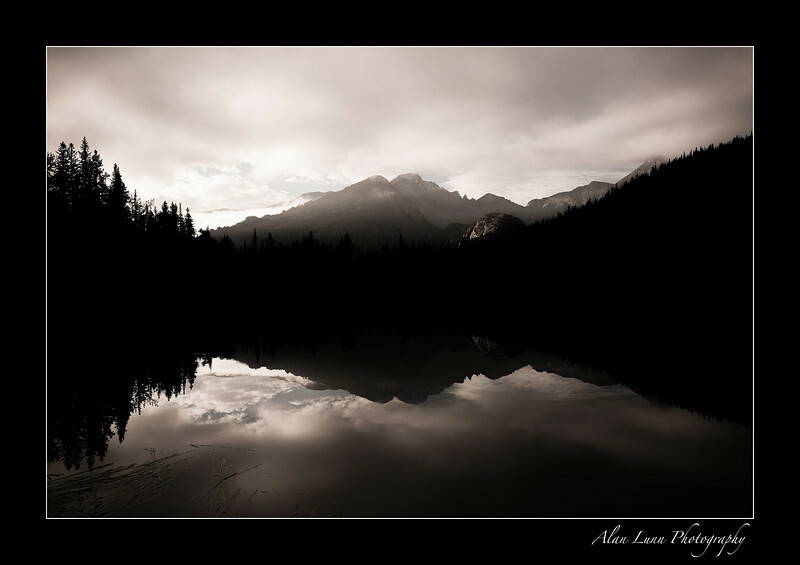 There is great peacefulness as the final wisps of light die off into the night." "Rising above the Colorado Plateau the buttes form an iconic image that is a classic in western movies. Dry and desolate this landscape is both magical, harsh and intimidating." "After the sunset, after the tourists, there is quiet. The moon rises and casts it's unique light over the canyon. 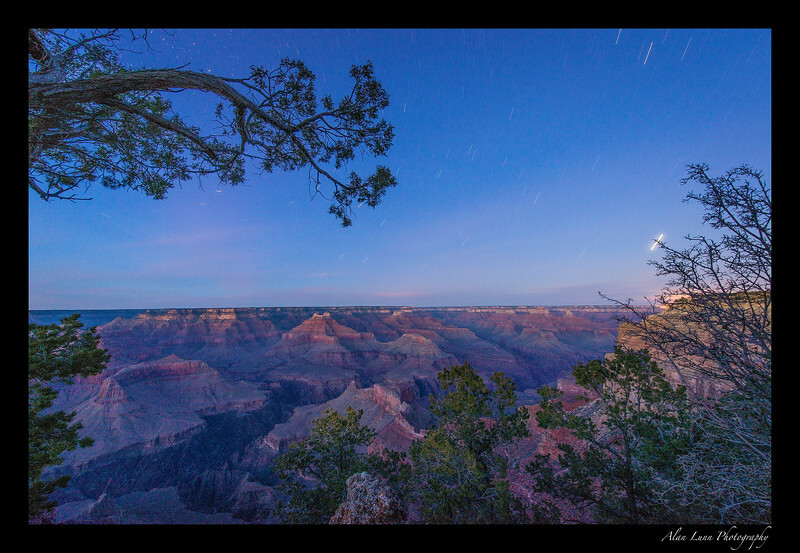 this long exposure shot can only be taken because of the illumination reflected off the moon." "That's close enough... Towards the end of the rut, a young elk is wary of intruders. It's coat and the subtle fall colours tell us that soon winter will be upon us." 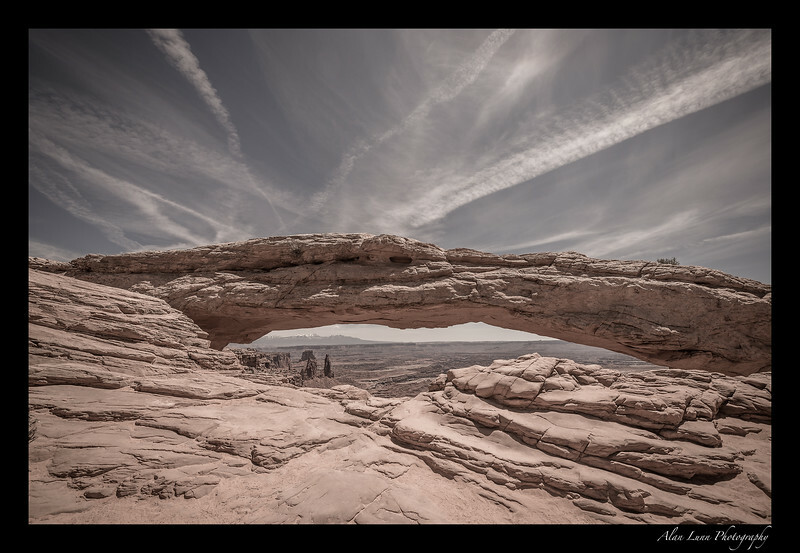 "Skyline Arch created by thousands of years of wind erosion is a natural rock arch formed in the sandstone. In this arid environment only a few shrubs and desert flowers can survive." "The last of the day's light passes through the atmosphere and is split into this magnificent magenta color. 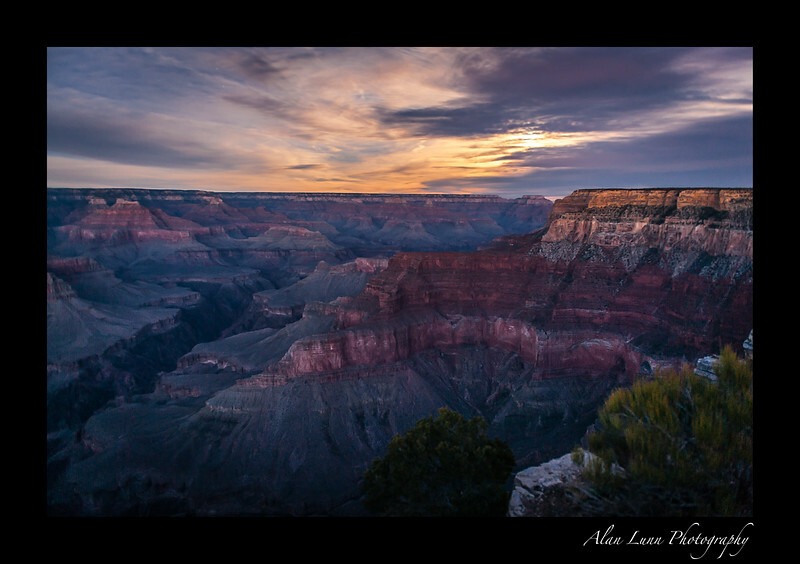 A mile below in the depths of the canyon, the deep red of the Colorado river is accentuated by the deep hues of the sky." "Soaring above the valley floor the peak is majestic, an early snowfall heralds the beginning of winter."